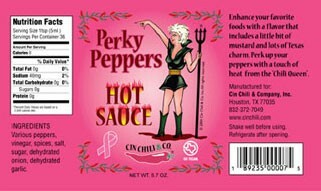 Cin Chili & Co. came up with PERKY PEPPERS HOT SAUCE to promote the Breast Cancer Awareness Month in October. 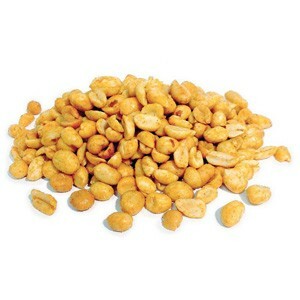 A portion of the proceeds will be donated to Susan G. Koman for the Cure Fund. Enhance your favorite foods with a flavor that includes a little bit of mustard and lots of Texas charm. Perk up your peppers with a touch of heat from the "Chili Queen".